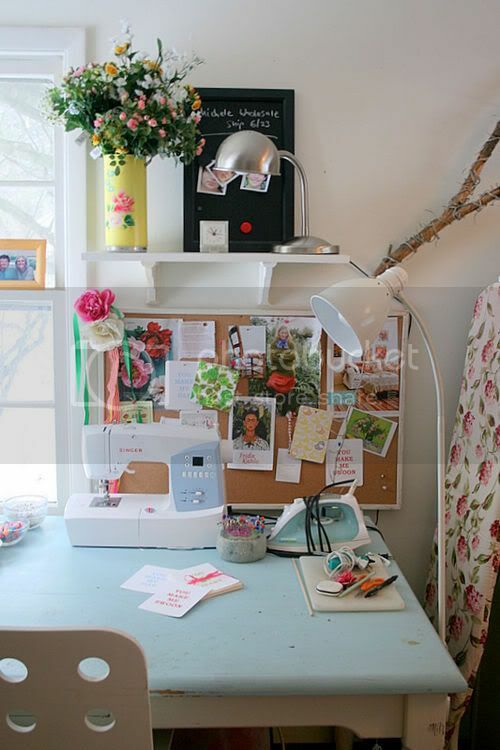 Speaking of spaces where women create, Tamar from Nest Pretty Things in Vermont contacted me over the weekend with photos of her newly designed arts and crafts studio - it's full of positivity and warmth! I've been thinking about having my own room again dedicated to creative pursuits, an idea that I plan to put into motion in the months ahead. It also means I will have to move but I'm okay with that because I've realized that I can no longer accept my current space as being sufficient enough. It's not, I need the space. I work from home, it's important to have plenty of room for the many projects I have my hands in right now. I fantasize about how I want my dream room to look, I can see it so clearly... but until I can touch this dream I'm living through others, planning, thinking, and saving money! Do you currently have a "you" room in your home? If so, would you like to link to it below in the comments section? If you do not, tell me about your dream room or point me to a photo of it online. I'd love to see and exchange some inspiration today! 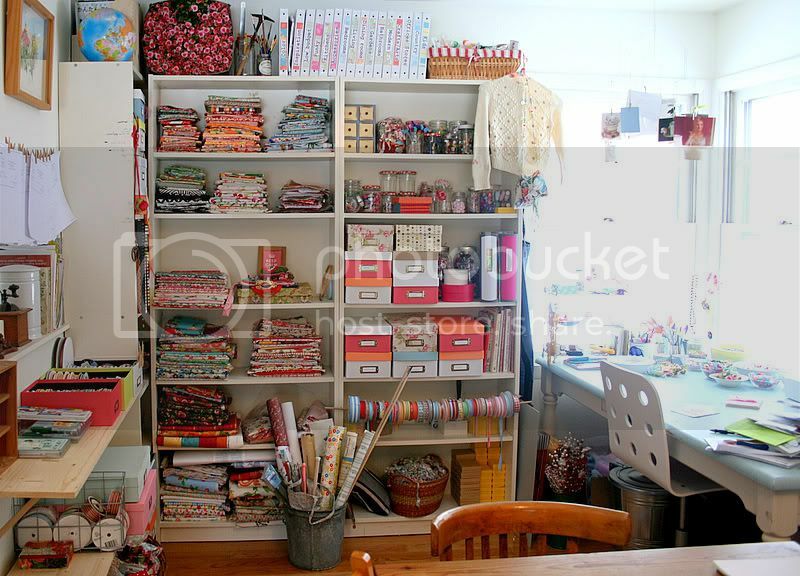 You can see more images and read about her studio space here. Thank you Tamar for sharing!